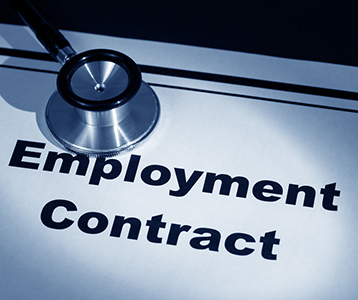 Will I qualify for redundancy entitlements if they are not mentioned in my employment contract? If your contract of employment does not address the issue of redundancy, entitlement to a redundancy pay will not be implied as a term of your contract, and therefore cannot be contractually enforced. However, the absence of a redundancy term in your contract will not prevent you from seeking a redundancy pay. Rather, this right is one that may exist outside your contract, and be enforceable against your employer under a relevant industrial scheme: Antouny v Anzam  VSCA 145. For example, if your employment is covered by an award, you will have full access to your redundancy entitlements under the award where you are eligible to make a redundancy claim. Further, where an award or policy exists, it is not possible for your employer to contract out of these protections. Where your contract of employment does in fact contain an express term entitling you to a redundancy payment, your employer must comply with these terms. There are instances where it may be beneficial for you to ensure that your contract of employment contains a term regarding redundancy. This will be particularly relevant to employees who are not covered by an award, and consequently will not have access to the statutory protections that exist for their award protected counterparts. I have been falsely accused of sexual harassment, what can I do?